Looking for a 2019 free of stress and overwhelm? 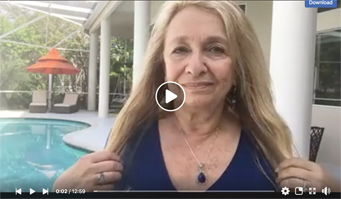 Here’s my gift to you…the key to Peace, Love, Joy and Miracles. 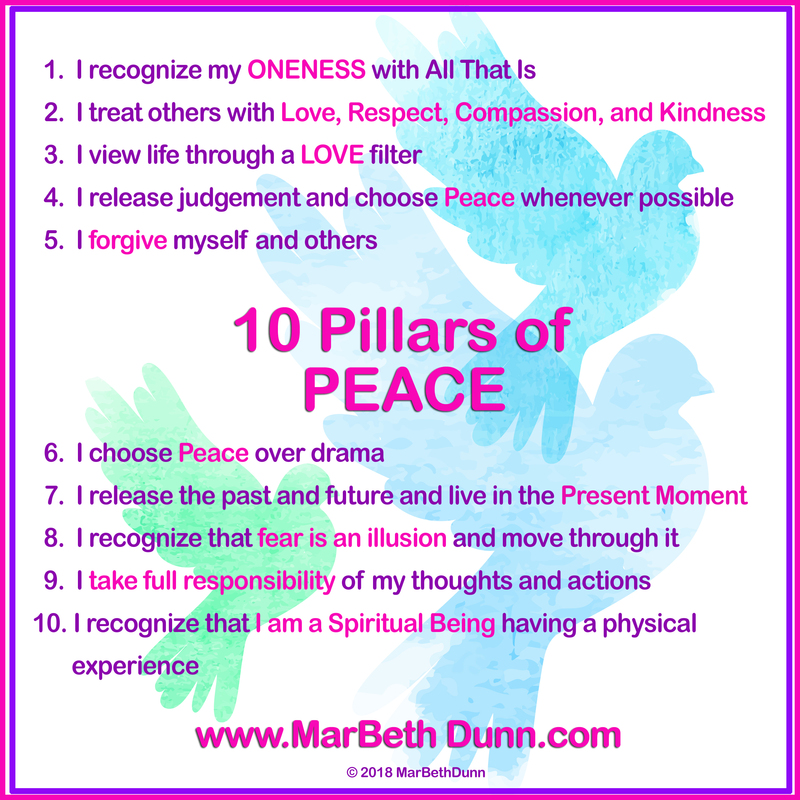 It’s the 10 Pillars of Peace, a poster I created just for you! Simply choose one of the pillars and focus on it for a week. Meditate on it. Use it as an affirmation. Post it around your house and work. Live it. If you forget, and lose your peace, don’t judge yourself. You made a mistake. Just let it go and return to your focus. The next week, choose another. Soon you will be feeling greater peace and happiness. To download this poster, click on the image. Then save the image that appears in a new window. As more people embrace personal peace, and focus on World Peace, we’ll experience greater harmony on our beautiful planet! Is your life tumultuous? Are you going though change? Need some expert help to help you release patterns that no longer serve you? 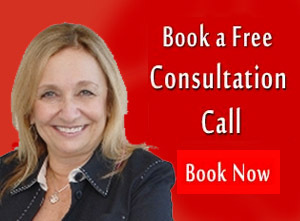 Click Here to book your FREE consult with me. We Have the Power to Generate World Peace! In late April, I was inspired to explore whether a unified global community could affect the level of violence in a specific part of the world through Oneness and Intention. 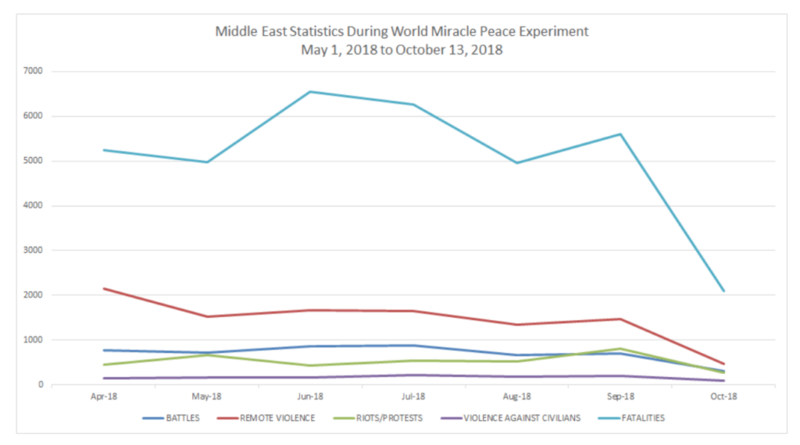 Within 2 weeks, on May 7th, the World Miracle Peace Experiment was launched, with a daily 7-minute PeaceCast meditation, laser-focused on peace in the Middle East. It was broad-cast internationally, LIVE over FaceBook. Statistics obtained from ACLED show a significant correlation between the level of violence and our Experiment. From May 7th through October, the number of fatalities and events show a downward trend! As the violence has decreased in the Middle East, our ‘PeaceCasters’ received substantial benefits as well. Our participants experienced greater peace, reduced stress, more harmonious relationships, better health and a greater sense of connected-ness. When united with others, we can effect change despite time and/or space. Individuals have the power to lower violence and affect other people when joined together with intention, in a unified field of love and peace. This unified field is powerful despite distance. 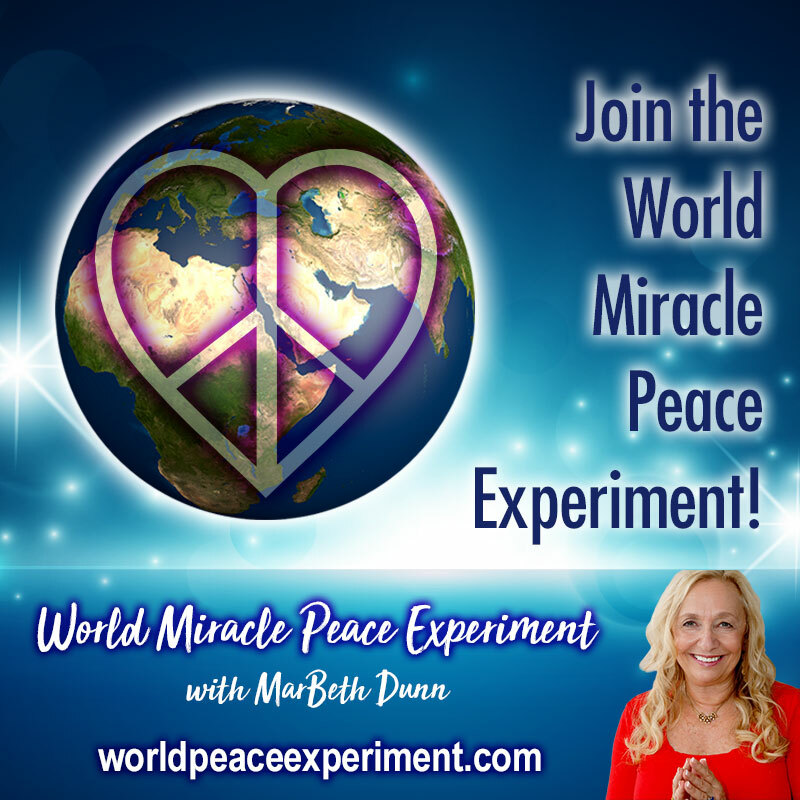 Please enjoy special access to ALL my meditations and Conversations About Peace with my illustrious Guest Hosts from the World Miracle Peace Experiment on my YouTube Channel. If you have not already done so, you can Subscribe here. It’s free, fun and beneficial! With this encouraging news, we are continuing the experiment with the Summer of Global Peace. As more people join us in our 7 minute daily meditation, I believe our results will be even better.